Portugal’s landscapes and cities are incredibly diverse, so it can be a challenge to plan a route and choose the destinations you want to see. Every region has its own charm and the options are seemingly endless. Especially if you’re planning a little road trip in Portugal! So much freedom, but where to go? Well, first of all: this is obviously a luxury problem. You are never going to wrong, wherever you go in this remarkable country. Nevertheless, I’ve visited the country a few times myself, and I feel like I can give you some solid advice. Take it from me, this is the coolest road trip in Portugal. Imagine driving along the rugged west coast and soaking up the sun on the sandy beaches. Admiring the many palaces in Sintra, spotting Dolphins in Setúbal, and visiting the ever so lovely Lisbon as the cherry on top. Curious about these exact locations? I’ll take you along the entire route, step by step! For this coastal road trip route, you’ll start your journey in Sintra (Lisbon district) and finish the trip in Setúbal city (Setúbal district). Depending on whether you’re flying and renting a car or driving to Portugal from another country in Europe, you can always flip the route. Feel free to rearrange any of the locations with Lisbon as your starting and/or ending point. For today’s article, I’m also happy to collaborate with EasyTerra. So before you arrange your car rental for the road trip, I definitely recommend checking their site to compare prices and optimise your road trip budget. How Many Days Should you Plan For This Road Trip? Since almost all locations on this route are within an hour’s drive from each other, it is technically possible to squeeze this trip into four days. Realistically, though, it would probably mean skipping one or two locations. This would be necessary in order to spend more quality time in Lisbon. Instead, I recommend freeing up enough days to fully explore the region at your own pace. Personally, I would say a full week is the ideal time span for this road trip. It’s a good idea to plan two or three full days in Lisbon itself and explore everything the Portuguese capital has to offer. Most will agree that the most magical way to start your road trip in Portugal is by visiting the UNESCO-listed Sintra region. Sintra village is already irresistibly picturesque. But there is much more to discover. The alluring landscape is speckled with historic royal palaces, gothic mansions, and magnificent gardens. 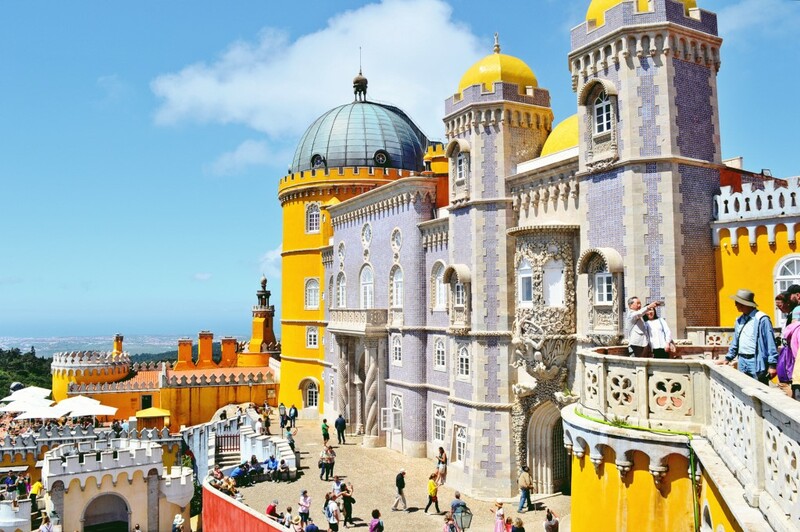 The most iconic highlight in Sintra is the 19th-century Pena Palace. It basically looks like an architectural patchwork of six different palaces in one. 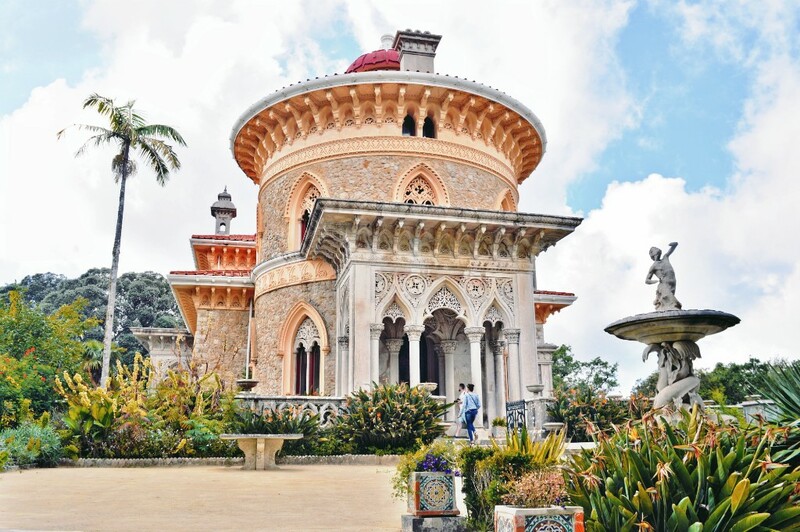 Although most will stick to a visit to the Pena Palace, the Monserrate Estate is equally worth your time. If your schedule allows it, I recommend combining both palaces. 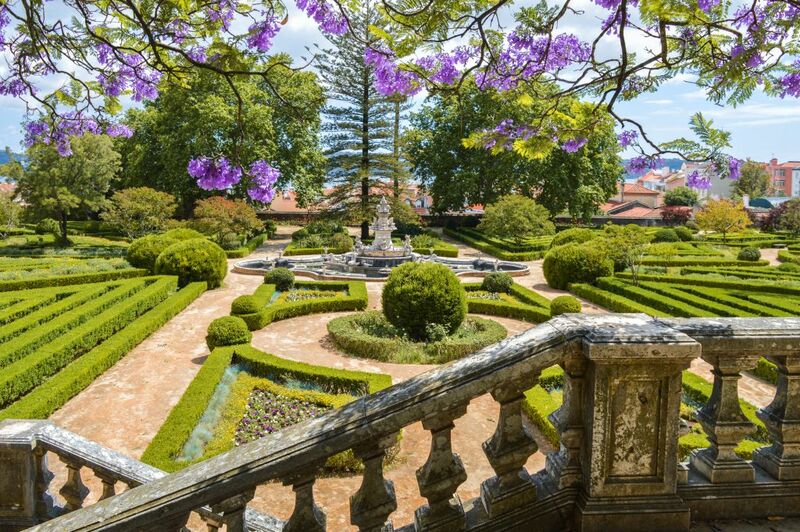 The 17th-century Moorish villa overlooks monumental botanical gardens and is a treasured heritage site from the romantic era. Between Sintra and Lisbon lies Cabo da Roca, which is famous for being the westernmost point of the European mainland. The rocky cape is a 30 min drive away from Sintra. You will find it right on the edge of the Sintra-Cascais Natural Park. Aside from the 18th-century lighthouse, you’ll see nothing but infinite Atlantic waves and dramatic cliffs. These stunning views from the windy cape are often described as “the end of Europe”. 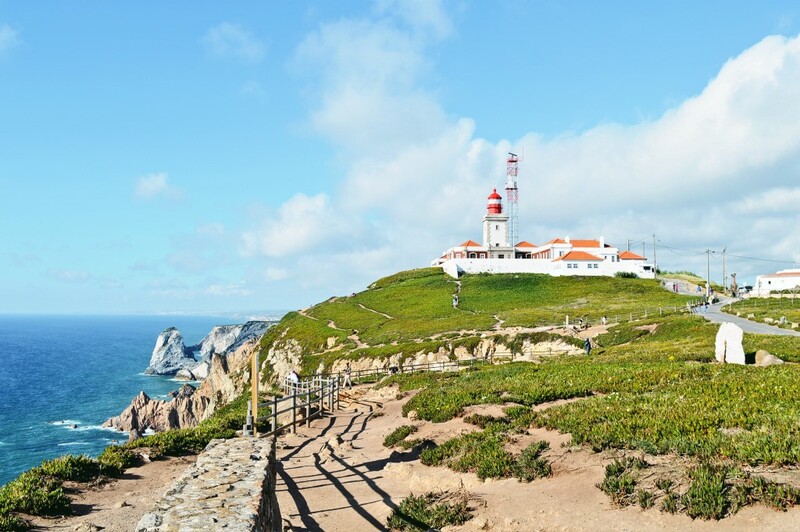 The next point on your route is the town of Cascais, nearby Cabo da Roca. 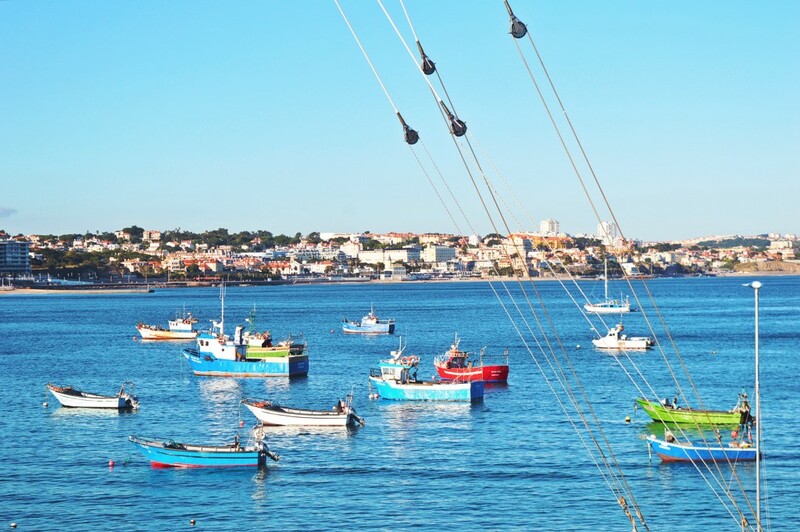 Cascais is a former fishing village that gradually developed into an elegant seaside resort. There are a number of beautiful beaches that are freely accessible and very suitable for a surfing lesson, such as Praia da Rainha and Praia da Conceição. The beach promenade in Caiscais also connects to Estoril, another former fishing village with a wonderful beach called Praia do Tamariz. Naturally, this road trip in Portugal would be incomplete without spending a few days in Lisbon. The cobble-stoned streets are filled with historic monuments, eye-catching tiles, and decorative doors that will make every photographer’s heart skip a beat. 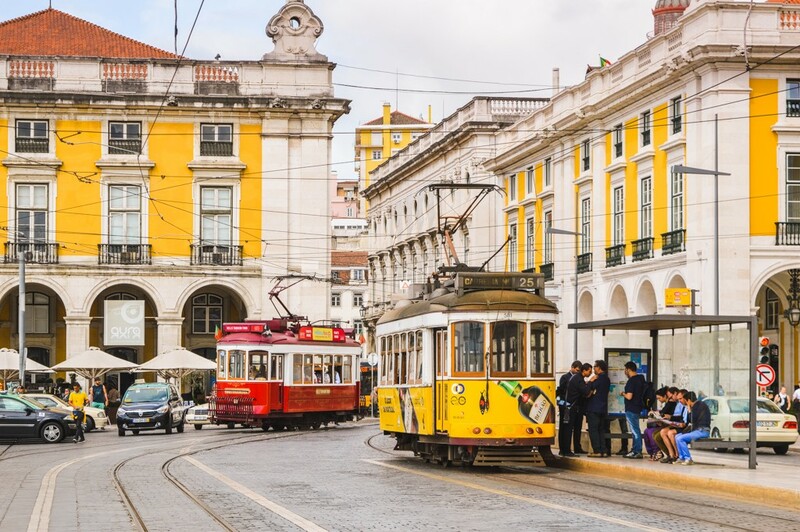 The hilly city offers a myriad of cityscape vistas and on a sunny day in Lisbon (of which there will be plenty), you should undoubtedly head to the banks of the Tagus river. Here, you will find highlights like the tower of Belém and MAAT museum as you walk towards the eye-catching 25 de Abril Bridge. Alcochete is a small town across the Tagus river, only about 40 minutes away from Lisbon. The contrast between the capital city and this peaceful fishing village is a wonderful change of pace. You can completely relax, take a stroll to see the charming streets, and have a delicious meal at one of the excellent seafood restaurants. A personal favourite of mine is family restaurant Don Peixe, where the dishes taste like the ultimate Portuguese comfort food. 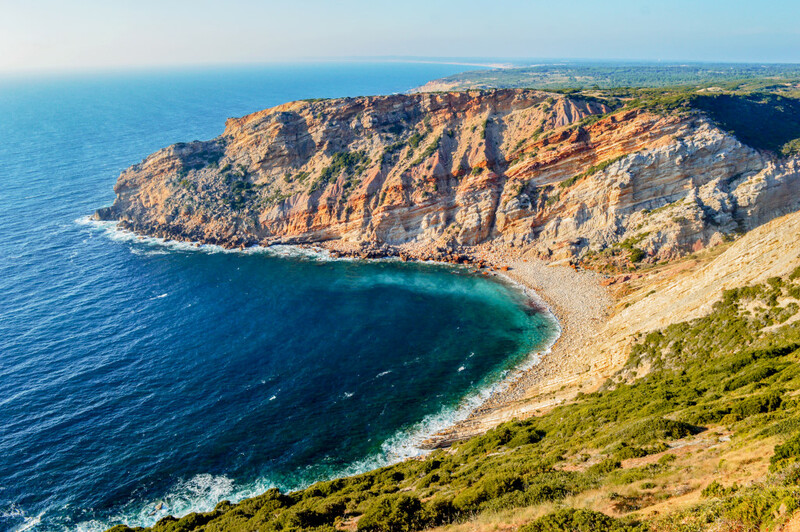 Cabo Espichel is part of the Setúbal Peninsula, located right underneath the Lisbon region. On several cliffs at Cabo Espichel, you can retrace dinosaur tracks from the Upper Jurrasic and Lower Cretaceous periods. 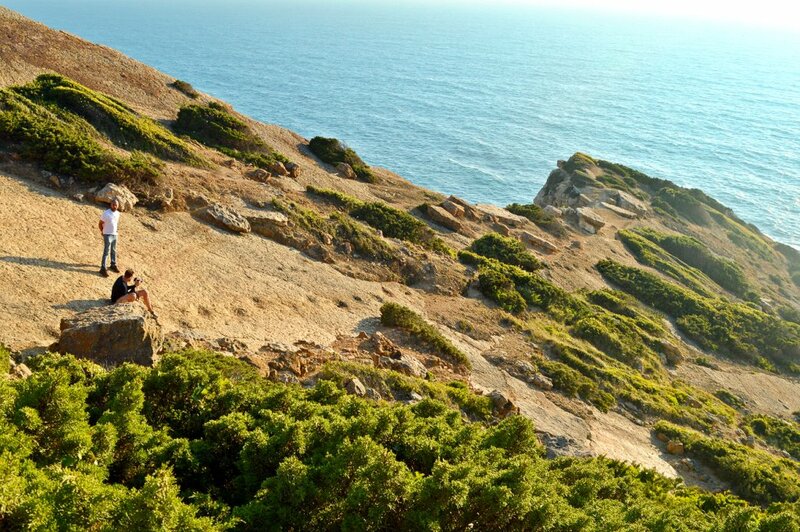 While Lisbon is far from a ‘hidden gem’, Cabo Espichel is usually ignored by the vast majority of tourists. That’s probably a good thing, and if you’re a fellow history nerd and like a little taste of adventure, you’ll want to check out this unique piece of European geoheritage. The next destination on your road trip road is Sesimbra, another wonderful seaside town that deserves a visit. 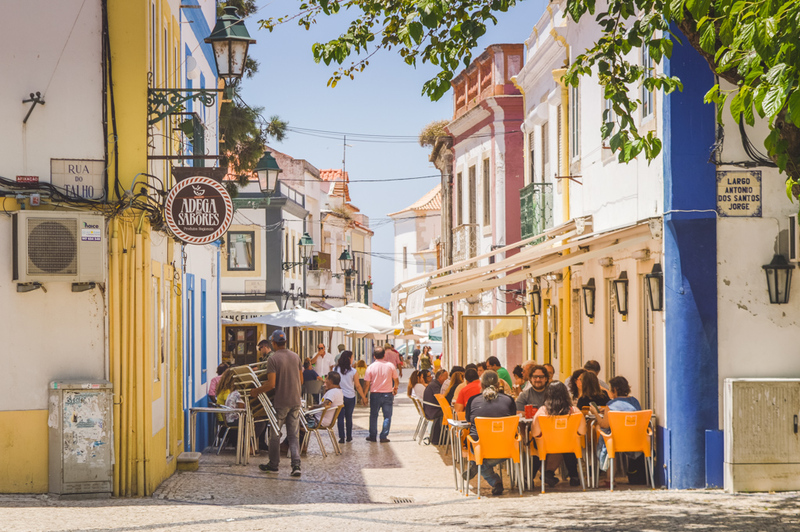 Sesimbra is located at the foot of the Arrábida mountains, with a historic town center, long sandy beaches (Praia Califórnia and Praia do Ouro) and a great boulevard (including several amazing seafood restaurants). One piece of advice: choose a nice place to dine on the outdoor terraces. 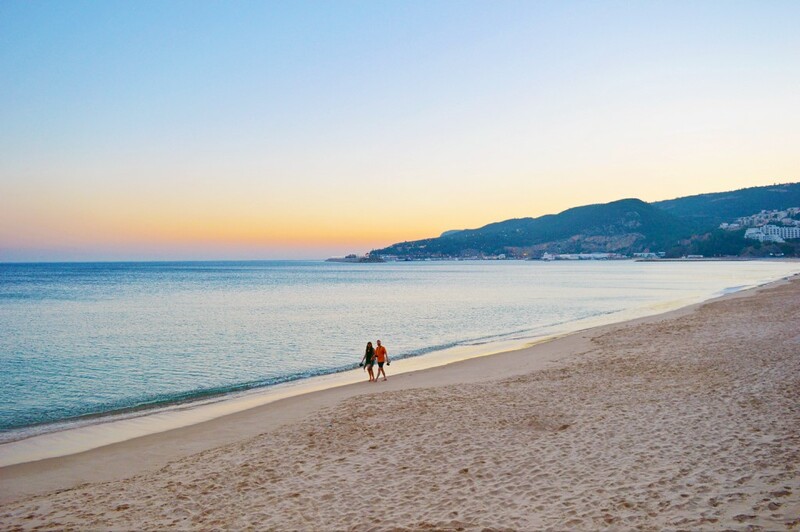 The sunset in Sesimbra is a sight you won’t want to miss. Last, but certainly not least, is the final stop on our road trip route: Setúbal. 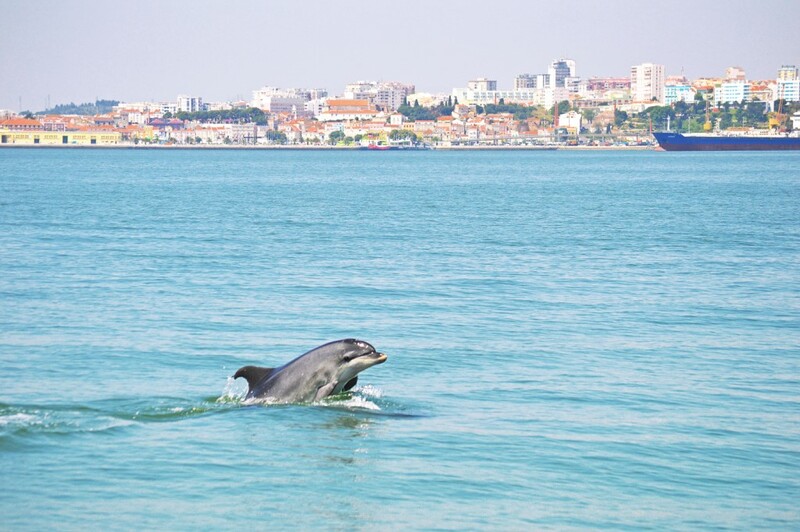 From the port of Setúbal, you can go on a boat ride with Vertigem Azul to explore the Sado Estuary. Here, a group of about 27 wild dolphins live near the waterfront. 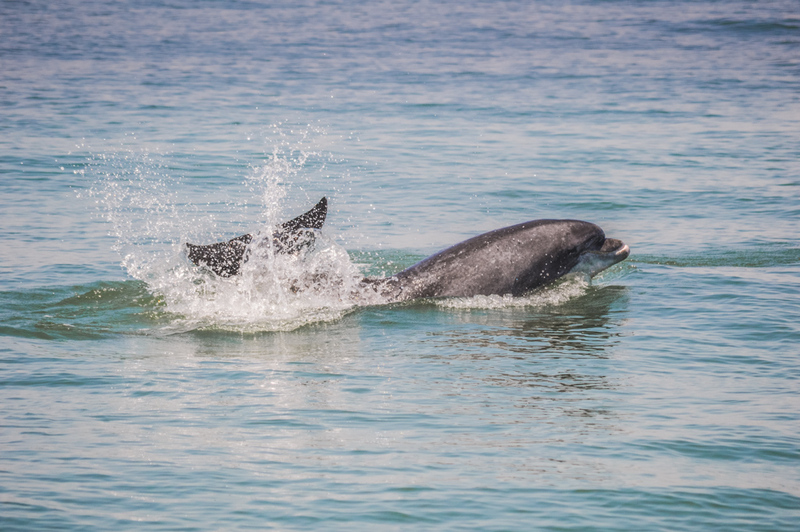 The only other estuary of dolphins in Europe can be found in Scotland and Ireland. This is why the bay of Setúbal is an exceptionally unique habitat in southern Europe that you won’t to skip. The specialists at Vertigem Azul have been studying the group since 1998. They can even recognize every dolphin by their dorsal fin, quite similar to a human fingerprint. 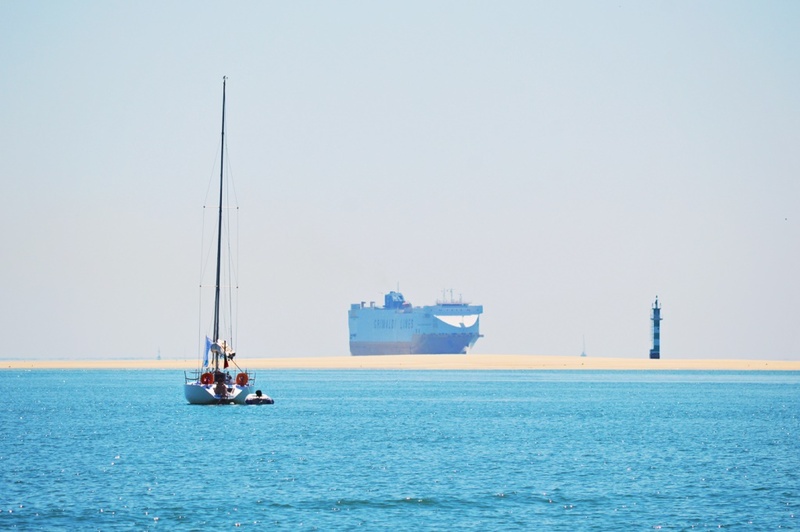 Lovely photos from Portugal – such vibrant colours!